Partnership relations between Vietnam and New Zealand have been developing well in many fields especially in education and training, said Mr. Le Thanh Liem, Deputy Standing Chairman of the Ho Chi Minh City People’s Committee at the meeting with Mr. Grant McPherson, Chief Executive of Education New Zealand on March 22. Signing memorandum of understanding between the Ho Chi Minh City Department of Education and Training and New Zealand Education in January was considered as a meaningful event to create favorable condition for cooperation development between the two sides in coming time. 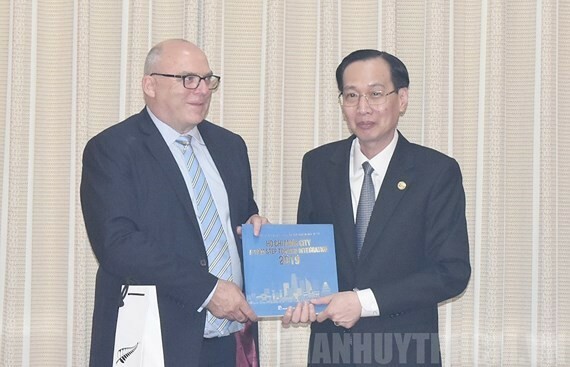 The city leader hoped that Ho Chi Minh City would continue receiving assistances from the New Zealand Government in the education sector as well as activities of sharing educational experiences and human resources training to serve smart urban development. Mr. Grant McPherson stressed that the knowledge enrichment and skills development for the youth would be an important target for the two nations especially skills in the field of artificial intelligence. 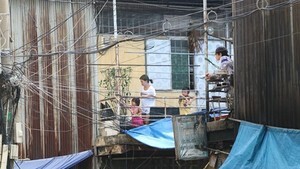 As this reason, New Zealand desires to seek and strengthen education cooperation opportunities with Vietnam through the signed cooperation agreements between the two countries’ localities.